Welcome to the website of South Florida Orthopaedics & Sports Medicine (www.SouthFlaOrtho.com). This website is best viewed using a contemporary browser. The advice provided on this website is intended to be general in nature and should not be relied upon for specific treatment. If you need personal medical attention, please contact our office for an appointment. This website is for informational purposes only and is not intended to provide specific commercial, financial, investment, accounting, tax, or legal advice. It is provided to you solely for your own personal, non-commercial use and not for purposes of resale, distribution, public display or performance, or any other uses by you in any form or manner whatsoever. Unless otherwise indicated on this website, you may display, download, archive, and print a single copy of any information on this website, or otherwise distributed from South Florida Orthopaedics & Sports Medicine, for such personal, non-commercial use, provided it is done pursuant to the User Conduct and Obligations set forth herein. 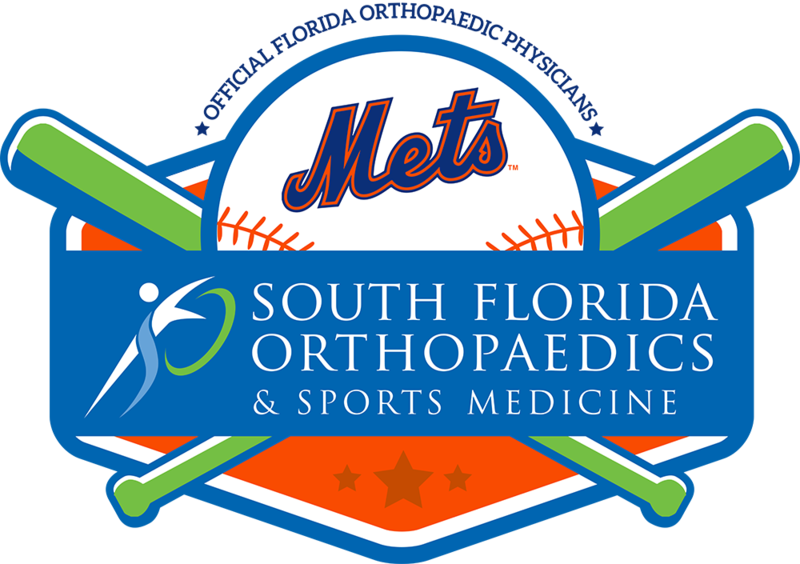 South Florida Orthopaedics & Sports Medicine has used its best efforts to obtain the most accurate and timely information available, including information pertaining to medical practices, all of which are complex and subject to change. Accordingly, we do not guarantee the accuracy, timeliness, reliability or completeness of any of the information contained on, downloaded or accessed from this website. The performance of this website and all information contained on, downloaded or accessed from this website are provided to you on an “as is” basis, without warranties of any kind whatsoever, including any implied warranties or warranties of merchantability, fitness for a particular purpose or non-infringement of the rights of third parties. South Florida Orthopaedics & Sports Medicine shall be not responsible for any problems or technical malfunction of any telephone network or lines, computer on-line systems, servers, Internet access providers, computer equipment, software, or any combination thereof including any injury or damage to your or any other person’s computer as a result of using this website. South Florida Orthopaedics & Sports Medicine reserves the right, at its sole discretion, to modify, disable access to or discontinue, temporarily or permanently, any part or all of this website or any information contained thereon without liability or notice to you. As a visitor to our website, you acknowledge and agree that any reliance on or use by you of any information available on this website shall be entirely at your own risk. In no event shall South Florida Orthopaedics & Sports Medicine nor any of its data providers be liable for any direct, indirect, consequential or exemplary damages arising from the use or the performance of this website, even if South Florida Orthopaedics & Sports Medicine or such provider has been advised of the possibility of such damages. embed or import any financial data provided by us into any information services (whether or not web-based), data files or application software, including without limitation accounting and payroll systems, except as except as specifically permitted in writing by South Florida Orthopaedics & Sports Medicine. IMPORTANT: We at South Florida Orthopaedics & Sports Medicine are committed to establishing our services in as many languages as possible. However, our company is based in Florida and our staff are English-speaking. We apologize, but we can only correspond in English. The parties consent to the exclusive jurisdiction of the courts of, and venue and situs in, Winter Park, Florida, USA.